Ole Gunnar Solskjaer’s Manchester United has been a masterclass in adaptive football. The Norwegian’s tactics have aimed at securing the skill set of his players and utilizing them to suit his attacking ethos. This is achieved chiefly through experimenting players in positions that they haven’t functioned in naturally. The most obvious indication of the same is Jesse Lingard. The forward has been quite prolific under the former striker, memorably netting a brace during the opening game of Ole’s reign against Cardiff City. Since then, his role has changed brilliantly and the effects are quite obvious. Firstly, in terms of positional play, Lingard has been fulfilling the role of a false nine. Against Tottenham, this was done to accommodate Marcus Rashford on the right-wing to try and test the defense while the Arsenal clash saw Romelu Lukaku transform into a playmaker from the wings. Lingard’s tendency to place himself in the right spots to make good of the passes from the wings and the midfield is what merits this approach. This differs from Lukaku as he is more likely to put himself into a position only after a run has materialized. This was particularly evident during Lingard’s goal against Arsenal wherein putting himself in a promising spot was an intuitive choice by virtue of his position. Further, Lingard’s tendency to attack the opposition’s deepest midfielder and mark them plays a dual role. In essence, he is able to achieve what Eden Hazard performs quite reluctantly with Chelsea. Moreover, what makes Lingard an apt choice for the false-nine role is the sheer amount of work he does when not on the ball. Being able to both find and create spaces is invaluable, particularly in rapid counter-attacks, which is swiftly becoming Solskjaer’s go-to approach for impact goals. More than in his ability to go for goal, what made this choice work against the two London giants is that he effectively disrupted the natural flow of their respective midfield ploys. With regard to how it affects the rest of the team, the attributes that make Rashford and Lukaku into able strikers actually works wonders in a centralizing trident. With a free-roaming no.10 in the form of Pogba and a ready false nine in Lingard, a unique space is created that most back-fours aren’t adept at countering. With regard to the same, having Lingard down the middle works brilliantly from a counter-attacking perspective. 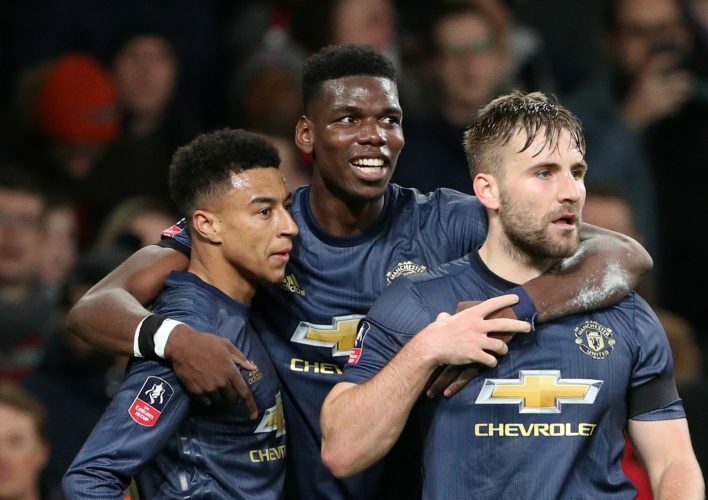 With pacey fullbacks to launch runs and someone with the passing capability and vision of Pogba, the likes of Rashford, Martial and Lingard find it relatively easy to burst into the box, often having only the keeper to beat. Once again, it is the free role assigned to Pogba that gives merit to this system and not just the strikers being deployed wide. 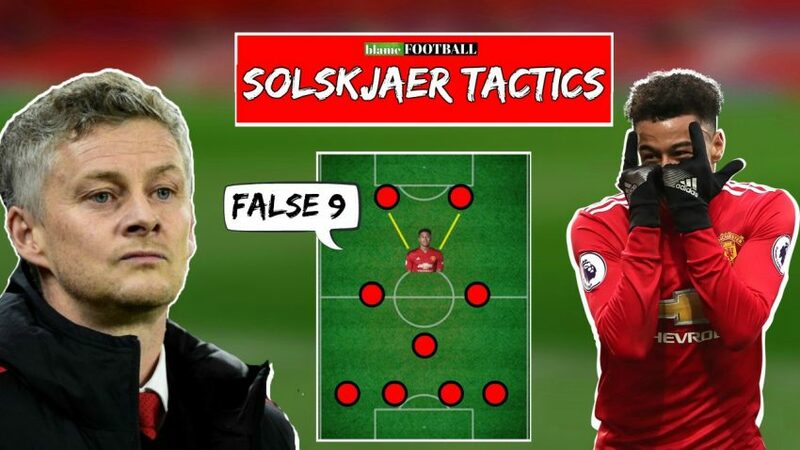 It is obvious that Solskjaer is still fine-tuning this system. It began primarily in an attempt to put Rashford in one-v-one situations against Jan Vertonghen at Wembley. However, by the time the trip to the Emirates rolled about, the Norwegian may have found more ways to make the false nine complement the manner in which his team is built.